So what's the plan for this year? The plan is (don't laugh, I really have a plan!) one blog post per month throughout the year. That's it, one good (!) blog post per month. I also hope to have the shop up and running at the end of the year. 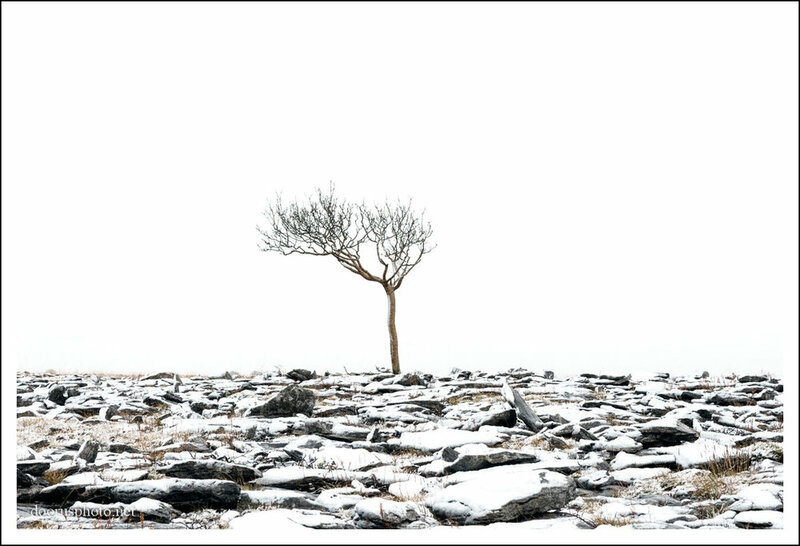 But enough about plans for the future, here are some impressions from a wintery day in the Burren. 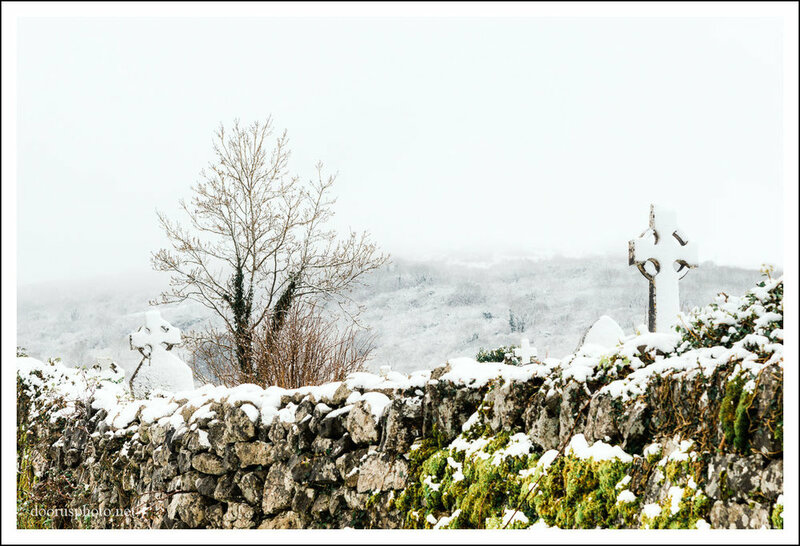 One of my favorites from the day, horses in the snow. The newly opened Cliffs of Moher coastal walk has attracted thousands of visitors since its opening in June 2013. And rightly so! The 16km long walking path along the Clare coast has to be one of Ireland's most scenic walks. After walking and photographing the section between Doolin and the Cliffs of Moher in April, it was time to try out the southern part of the trail between Liscannor and the Cliffs of Moher. The trail is part of the Burren way, and by extension, part of the newly opened Wild Atlantic Way. The southern section of the trail is slightly shorter and easier to walk than the the Doolin section, it takes about 1.5 hrs to get from the car park to the visitor centre. Speaking of car parks, I'd ignore the official car park, and use Pat Nagle's privately owned car park instead. The official car park is free of charge, but Pat's car park is much closer to the trail head and parking is only 2 Euro per car. There is no parking available along the roads! Enough said, time to get walking! By the way, the pictures in this blog post are from two visits to the trail. One thing that always strikes me is, how much quieter this part of the cliffs is, compared to the area around the visitor center. Even on a nice summer day, Hag's Head is never crowded with people. Trail ahead! Looking north from the trail head towards the Cliffs of Moher. It's a bird watchers paradise! Time for part two of the walk, evening time on the cliffs. View towards the Cliffs of Moher, you can see O'Brien's tower on the cliff top.